Dr K Elavazhagan, is currently working as Librarian & Chief Knowledge Officer, Indian Institute of Management Tiruchirappalli has more than 24 years of experience. He has served as Library IT Manage and Operations Manager in The British Deputy High Commission, British Council Division, Chennai for 20 years and later he was Heading the Goethe-Institute Library (German Cultural Centre), Chennai. He was Secretary for MALA (Madras Library Association). He has been nominated as Co-Chief Editor for SALIS Journal of Library and Information Science (An International Journal).He has attended Cambridge ESOL Administration training and Cambridge ESOL Computer based testing Training at Cambridge, UK.He also attended Advanced Cataloguing Training at Munich, Germany. He also participated in the Frankfurt Book Fair.He has received Best Contribution Award from British Council, India. Dr.K.Mahalakshmi is working as an Assistant Librarian in Avinashilingam Institute for Home Science and Higher Education for Women, Coimbatore. She has got 16 years of experience. She has published 18 papers in national and international conferences and 9 articles in journals and her thesis is published as a book by Lambert Academic Publishing, Germany. She is the member of ILA, SALIS & ISTE. Prof. Ravi is working as Professor and Head, Library and Information Science Wing and and he is now the Mentor for Commonwealth Youth Programme, Directorate of Distance Education, Annamalai University, Annamalainagar. Born on 1957, Dr. Ravi had completed M.A., M.L.I.S and Ph.D in Library and Information Science. He has more than 36 years of experience which includes 11 years at the Annamalai University Library and 25 years as Faculty and Head, DLIS, Directorate of Distance Education Annamalai University. He served as a member of various committees which include the Expert Committee to recognize Open and Distance Learning institutions of the Distance Education Council, Government of India, New Delhi, Chairman of the Board of Examiners for M.Phil, M.L.I.S., B.L.I.S. & Commonwealth Youth Diploma in Annamalai University, etc. He also served as Member of Board Studies of various universities and academic council. He has guided 18 Ph.D and 50 M.Phil students. He is also serving as a member of Editorial Advisory Board for a few journals. He has received many awards such as V.N.Rajasekaran Pillai Endowment Award for the “Best Teacher” in the Directorate of Distance Education, Annamalai University , Awarded Certificate of Merit in appreciation of his long and dedicated 25 years of services in Annamalai University , etc. Dr.S.Srinivasaragavan, is presently working as Librarian and Head of the Department of Library and Information Science, Bharathidasan University, Tiruchirappalli. He was heading the libraries of NAAC, NERIST, Engineering and Medical institutes and posses 24 years of professional experience. He has organized 12 workshops and seminars at national level, sponsored by NAAC, ISTE of AICTE, INFLIBNET and other agencies. He has also been teaching library and information Science at P.G. level since l990 and M. Phil. level since 2003. Under his guidance 20 Ph.D. and 70 M. Phil. scholars have been awarded degrees in LIS. He has published 7 research papers in national and international journals. He also presented around 30 papers in national and international conferences. In addition, he is one among the editors and instrumental in bringing out NAAC publications on “Quality Indicators and Best Practices”. He also has been awarded project by MHRD in developing Digital Technical Library and instrumental in implementing automation and digital libraries in the institutions where he served. He has widely traveled to deliver invited lectures on various areas of LIS. 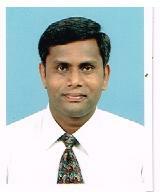 Dr. R.Sarangapani is presently working as University Librarian, Bharathiar university, Coimbatore since Aug 2012. He has done M.Com, M.L.I.S and Ph.D in Library Science. Prior to his present position, he worked in VGP School of Management, Chennai, Priyadarshini Engineering College, Vaniyambadi, Arunai Engineering College, Tiruvannamalai, and Rajiv Gandhi College of Engineering & Technology, Puducherry. Present ly Dr. Sadik is presently working as Professor and Head Dept of Library and Information Science, Periyar University, Salem. He has completed B.Com.,M.L.I.S, M.Phil., D.C.A.,PhD in Library Science. Born on 12th Feb 1970, Dr. Saidk has 18 years experience in Teaching UG, PG and M.Phil courses and also has 14 years experience in guiding research students for Ph.D. He also has administrative experience about 5 years for managing a Library. Guided more than 62 M.Phil students, 6 Ph.D students and now guiding 6 students for Ph.D. He has published 32 papers in national and international journals, 12 papers in conference volumes and edited 4 books. He has delivered more than 25 special lectures in various forums and attended more than 25 national and international conferences. Prof Sadik is a member of several professional bodies. Dr.R.Sevukan is presently working as Associate Professor & Head in the Department of Library and Information Science at Pondicherry University. Prior to joining this university, he served as Lecturer in Indira Gandhi National Open University (IGNOU), New Delhi where he was actively involved in the development of curriculum and course material for LIS programmes of IGNOU at different levels. He has delivered many lectures through face-to-face and live teleconferencing in Edusat. He was member of the National Experts Committee to design curriculum for LIS course introduced as one of the subjects at Senior Secondary Level in CBSE schools in India. He has published many articles in peer reviewed National and International Journals. Dr.Sevukan is a member of editorial board of many peer reviewed journals in Library and Information Science at national and international level. He has reviewed a number of research articles for national and international journals namely Annals of Library and Information Studies, International Journal of Library and Information Science, and Library Progress (International) and adjudicated about 50 PhD theses of various universities across the Country. His areas of research interest include Library Automation, Digitization, E-Resource Management, Scientometrics, Research Methods, Information Seeking Behaviour, ICT Applications in Libraries, etc. The academic visits to other countries made by Dr.Sevukan are South Korea, China, and Thailand. Dr.V.Sakthi Regha is having around 19 years of experience as librarian. Currently she is working as librarian at Madras School of Social Work (MSSW), Chennai. She has presented number of papers in National and International conferences. She is having few publications for her credit like, journal articles, book chapters and a book titled “Academic Excellence through Knowledge Management” published by the University of Madras in the year 2007. She served as Secretary and Vice-president of SALIS Chennai Chapter. During her tenure in SALIS, She organized many lectures, training programmes and workshops including the UNESCO supported workshop. She also organized few UGC sponsored workshops and completed a UGC-Sponsored minor research project on “Virtual Library for Social Science and Management” in 2009 at MSSW. She has been invited as a resource person for Workshops, Seminars and UGC-Refresher courses. Dr.J.Panneerselvam had his schooling and collegiate education in Chennai. From 1971-1975 he studied UG & PG English Language & Literature at the Pachaiyappa’s College, Chennai. In 1976 he joined the Govt. of Tamilnadu Collegiate service as Tutor in English at the then Veterinary College, Vepery, Chennai. In 1981 he was promoted as Asst. Professor of English. In 1986 he took his MPhil. in American Science Fiction. Studied part time law course at the then Madras Law College, Chennai and took his B.L. degree in 1987. He took his Ph.D. in American Science Fiction in 1999 and became Reader in English. After serving the Tamilnadu Collegiate Education for thirty two years, he retired in August 2008. As an English Literature & Science fiction scholar, he has kenoted and participated in several workshops, seminars and conferences within and outside India.He has supervised Ph.D. and M.Phil. research work. He has served as resource person for English and literature teaching and training. He has served on the board of studies of Universities in Tamilnadu. He has served as a panel member of TNPSC and TRB staff selection boards. He served as the Chairman of the Recruitment Cell of the Directorate of Collegiate Education. He held the position of Nodal Officer of Tamilnadu for Public-Private Partnership at the Directorate of Collegiate Edication. He represented the Govt. of Tamilnadul as a nominee in the Executive Committee of an autonomous College in the city of Chennai.He served as Consultant for Content in English for institution of the Anna Centenary Library, Chennai.As a teacher of English, he has served as a laguage consultant for the Computer Aided Language Learning project to impart Spoken English for the students of Govt. schools in Tamilnadu. Some of the major and minor responsibilities held by him at the College were : Controller of Examinations, Officer in Charge of Information and Communication Technology Enabled Teaching and Learning, Chairman of IQAC, NAAC Coordinator, Aids Prevention and Control Officer. He has served as the Quality Control Officer of a private online teaching firm in Chennai. He is a life member of The Indian Association for American Studies, The Indian Association for Science Fiction Studies, a honorary member Science Fiction Research Association of the USA. At present, he is practicing as a lawyer at the Madras High Court. He is Member of IAPCHE (International Association for Promoting Christian Higher Education) and life member of SALIS. He served as the Secretary of SALIS Coimbatore Chapter. He is now Serving as a member in COLLEGE GOVERNING COUNCIL ( for five periods), COORDINATOR, CENTRE FOR TRADITIONAL MEDIA (UNIT OF VIS COM DEPT, )COIMBATORE. He has organized many programmes such as Workshop on preparation for UGC/SLET EXAM at Bishop Appasamy College for 2 days, State level workshop on ACCREDIATION and CERTIFICATION by SALIS on 10th Oct 2003, Awareness program on UGC INFONET and INFLIBNET FOR TEACHERS at Bishop Appasamy College on 31st Jul 2004 and National level two days seminar on MEDIA AND LIBRARIES at Bishop Appasamy College on 7th& 8th Oct 2005.He is the HOST COMMITTEE member (travel co-ordinator)and participated in the REGIONAL CONFERENCEIAPCHE ASIA / OCEANIA at Chennai from 13th – 17th Jan 2005.He is the Technical consultant for LIPSINET (LIBRARY SOFTWARE) and also LOGIC LAUNCH LIBRARY SOFTWARE. He documented several important events such as OPERATION VIJAY (Kargil war) – documentation on Kargil war which was submitted to the HONORABLE PRIME MINISTER OF INDIA. The other documentation work are on Education, Social welfare, Children and women, The last 200 days of MAHATMA GANDHI, Operation cocoon and Tsunami. He has organized many innovative programmes such as Outreach libraries (for the benefit of rural students) and also training programme on greenstone digital library software. His current responsibilities are Framing the syllabus for PG department of library science, Chairman, Board of studies for library science and Member and curriculum development council in his college. Presently she is working as Librarian at St. Mary;s College, Tuticorin. Prior to this, she worked at NEC, Kovilpatti and other few institutions. She has completed B.Sc. B.L.I.Sc, M.L.I.Sc, M.Phil, M.B.A and Ph.D.
She has published more than 10 papers in journals and 58 papers in national and international conferences. She has organized many programes, delivered more than 15 lectures and attended more than 25 conferences and seminars. She also served as Event manager for may programmes. She is the Editor for a peer reviewed International Journal of Library and Information science”(IJIS) CESER Publications (ISSN 0975 – 7546) and also EAB member of SALIS Journal of Information Management and Technology and served as the Assistant Editor of “SALIS Journal of Library and Information science. She is the life member of SALIS, ISTE, MALA, LISP and IALA. She served as the Secretary for the SALIS Tirnvelveli chapter. She has received the AutoLib-Tamilnadu Young Librarian Award for the Year 2006. Her research areas include Digital Libraries, Knowledge Management, Bibilometrics, Scientometric and Webometrics. Dr. R Balasubramani, is currently working as an Assistant Professor, Department of Library and Information Science, Bharathidasan University, Tiruchirappalli has been associated with more than 7 years in this field. He has served as Deputy Librarian in Kumaraguru College of Technology and Librarian, Dayananda Sagar College of Engineering Bangalore. He has published 42 research articles in national and international refereed journals. He also presented and published more than 75 research papers in the national and International Conferences. He got 60 Citations and 5 H Index through Google Citation. He has delivered more than 45 special lectures in various forums. He has guided 10 Ph.D scholars, and 26 M. Phil scholars, presently he is guiding 06 Ph.D scholars. He is a reviewer and editorial board member for many national and international peer reviewed journals. He has prepared 3 MLIS Course materials for Bharathidasan University and Manonmaniun Sundaranar University. He is a recipient of the SALIS Best Paper Award in 2013 at Chennai. He is a Convener, Subject Expert for various Doctoral Committees and acted as External Examiners for many Ph.D. and M. Phil., Public viva- voce. He also visited to Sri Lanka. He is presently working as Assistant Professor in Department of Library and Information Science, Bharathidasan University, Tiruchirappalli He has completed B.Sc Library and Information Science and MLIS from Bishop Heber College, Tiruchirappalli. He has cleared his UGC-NET exam in December 1996 and completed his M. Phil in Library and Information Science from Annamalai University and Ph.D from Bharathidasan University. He has over all 18 years of professional experience. He guided 14 M.Phil scholars and published more than 30 papers in National and International conferences. He published 22 research articles in International and National journals. He also delivered more than 35 special lectures in different institutions. He is also an Associate Editor and Peer Reviewer for few journals. His area of specializations is Library Automation and Networking, Open Source Software, Institutional Repository and Digital library. Presently working as Technical Officer C in the Technical Information Resource Centre (TIRC) of Naval Physical and Oceanographic Laboratory (NPOL), Kochi, Kerala coming under Defence Research and Development Organization, Government of India. Had a long tenure of 30 years of experience in this special library and involved in ICT enabled information services Obtained M.LI.Sc and Post Graduate Diploma in Communication and Journalism (PGDCJ) from University of Kerala.. Attended many training programmes conducted by SALIS, DRTC, DESIDOC, NISCAIR etc. Life member of Society for the Advancement of Library and Information Science (SALIS) Indian Association of Special Libraries and Information Centres (IASLIC) and Kerala Library Association (KLA). Presently SALIS-Governing Council Member & Special Invitee of KLA-Ernakulam Regional Committee. Presented 14 technical papers in various conferences and seminars. Dr. T.R.Sridevi is having around 16 years of experience as a librarian. Currently she is working with R.V. College of Engineering, Bangalore since 8 Months. Previously she was Associated with M S Ramaiah school of advanced studies for 14 years, where she used her Skill Sets in Designing and Set up a Library from Scratch. She has Designed and Developed Digital Library using Green Stone and Installation of DSpace. She has also served as an Editorial Member of Newsletter and Technical Journal between 2001- 2004 and Internal Auditor Member for ISO. Prior to this she has been trained at ICAST – National Aerospace Laboratory and IISC – Digital Library – Indian Institute of Science, Bangalore. She has presented many Number of Papers in Nat and Int Conference and has her Publications in Journals. Her Book Chapter titled Implementation of E-Learning in Higher Educational Institute was released at 38th ISTE Annual Convention and IFEES International Conference to be held Dec 19-21, 2008 at KIIT University, Orissa. She is a Life Member of SALIS and ILA. She is a member in Editorial Board in International Journal (LIS), and has be awarded the ISCA – FM-345). She has been taken 5s Award for three quarter for presenting library in a systematic organized manner with up to Date Information in Year 2001-2003, N P K Memorial Best Paper Award for LIS Professionals for 2nd Best Paper for Current Trends in E-learning Practices in Engineering Colleges in Bangalore and Challenges at KCT, Coimbatore Received on 8th August ‘2008. Presently she is Guiding Research Students (LIS), under VTU, Karnataka. 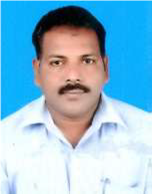 Presently he is working as a Librarian at PBR Visvodaya Institute of Technology and Science, Kavali since 1998. Membership Details. He has completed M.A., M.L.I.Sc., M. Phil and qualified for SLET in 1998. He is a Life member in Society for the Advancement of Library and Information Science. (SALIS) and also Governing Council member. He has published 20 papers in journals and conferences and attended more than 15 Training programmes, Workshops, Seminars etc. He has introduced many innovative services in his Library. the Inaugural and Valedictory function tomorrow at 9.30 AM (8th Aug 2014). Spot Registration is allowed tomorrow. We are looking forward your valuable presence.